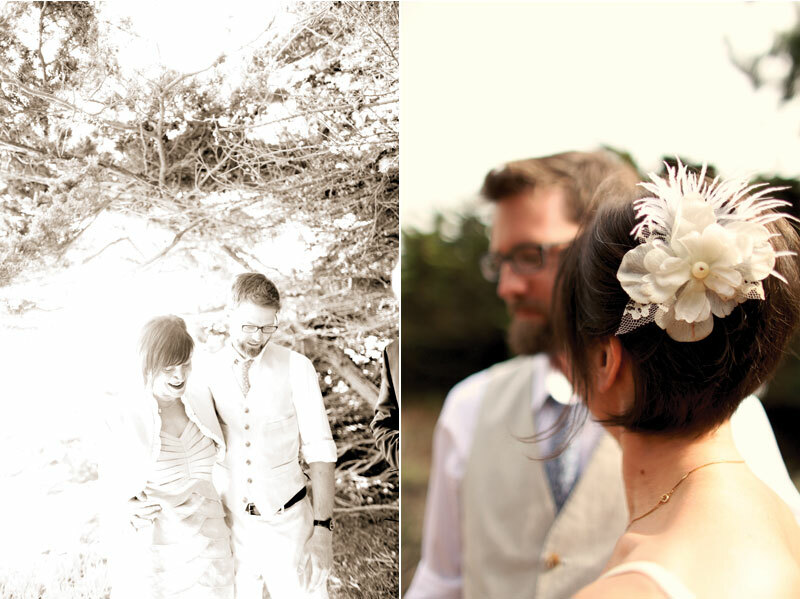 I'm thrilled to share a few of my favorite photos from the wedding I shot in Cambria, CA last month. 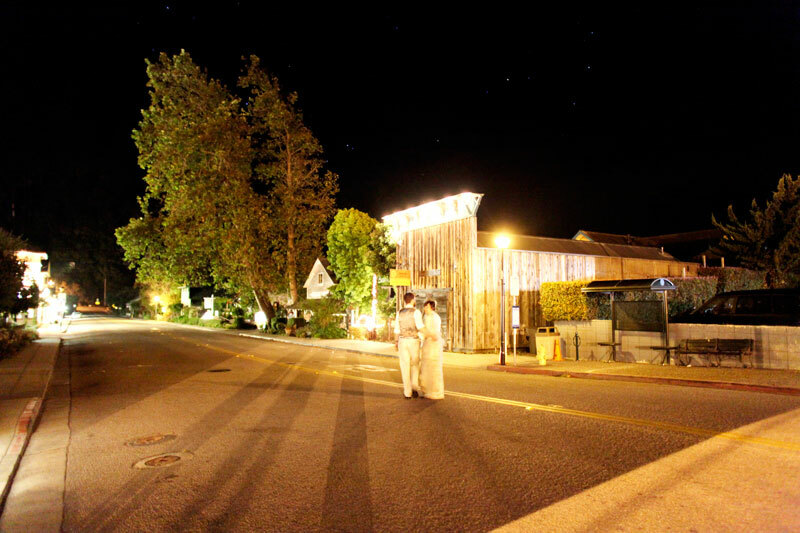 Cambria is the cutest little town on the central coast of California, between Hearst Castle and San Luis Obispo. 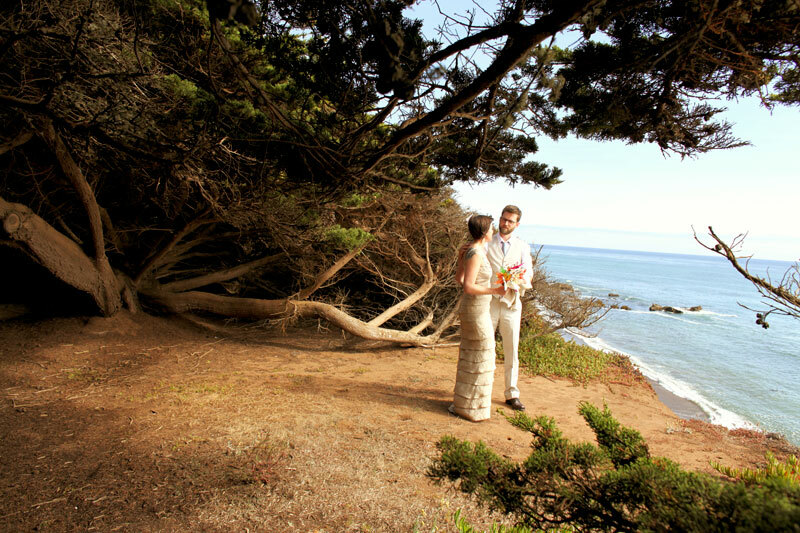 Lily and Dale got a permit to get married at a local park, right on Moonstone Beach. When they arrived to double check the location, they unfortunately discovered a homeless man had set up shop in 'their' spot. They peacefully let him be and set out to find a new perfect spot. The place they found couldn't have been more gorgeous. A little off the beaten path... ok, well, we had to step over the ropes to get there, but it was all worth it. It was the edge of the earth; skies were blue and the ocean was a perfect shade of turquoise. It was brilliant covered by trees and was a dream to shoot! On Saturday afternoon Lily and I trekked out to the spot and waited for Dale. They had a sweet moment together and then we waited for their favorite 25 friends and family to join them under the trees. We all gathered around to listen to the personal ceremony, complete with sincere and amazing vows. They kissed and we all cried and cheered! 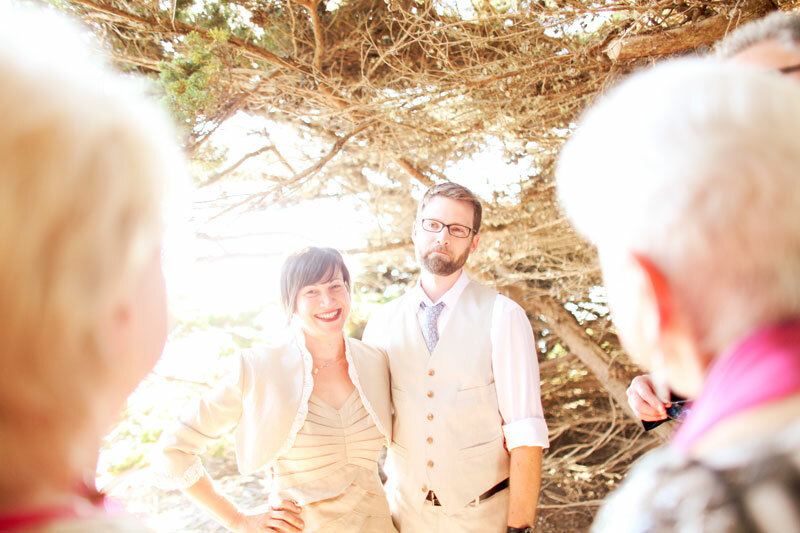 One of my favorite aspects of this wedding was that it was so laid back and casual. It was a small wedding with virtually zero posed photos. Seriously. The only posed photos we did were of the bride & groom while we waited for their guests to arrive at the ceremony and a few with their officiant. That's it... everything else is candid and it was so relaxing to shoot. The weather was perfect, the views were gorgeous, and dinner was delicious. There were no timelines, no flowers (lily made an awesome bouquet of paper butterflies), no cake (ice cream sandwiches from Bi-Rite Creamery in San Francisco... thank you, Elisha & dry ice!! ), no djs (Lily and Dale made their own playlist), and no programs. Just a lot of love and sweet happiness. Oh, and some fun party ideas made the night hilarious: fake moustaches and candy cigarettes, double bubble gum, and pop rocks! 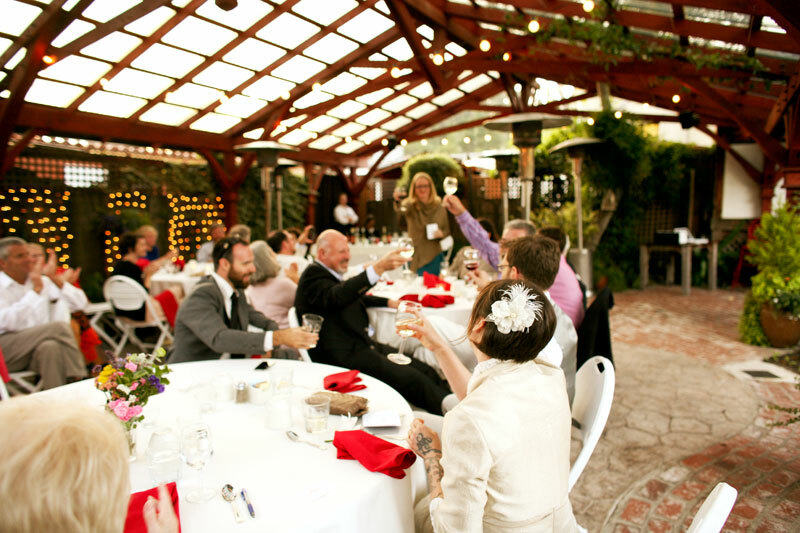 The reception was held in the garden behind Robin's Restaurant in downtown Cambria. One of their guests, Dave Potter, is THE dude at Municipal Winemakers, and he provided all the wine! At the end of the night, I was able to sample each of the 4 wines he brought... amazing! If you're planning a wedding, may I offer some unsolicited advice? I suggest you follow your heart and have an amazing wedding; one where you get to spend as much time as possible with your honey-to-be and your dearest family and friends. Congrats again, Lily and Dale... I couldn't be happier for you!